Research produced by UEFA shows that mothers who play sport double the likelihood of their children doing the same, and that teenage girls are likelier to play football if they have a brother. Speaking at the annual Sport For Business women's sport conference in Dublin yesterday, UEFA's business development co-ordinator Polly Bancroft stressed that active mothers are particularly influential in their children participating in sport. "Our research showed that if fathers play sport their children are 50pc likely to play but if their mother plays sport as well, they are 95pc likely to play," she said. Speaking specifically about soccer, she said: "Having parents who can afford to pay for after-school activities is also an influencing factor, and also if a girl has a brother, which means she is more likely to be outside playing in the garden or park with her sibling." UEFA's research, done in conjunction with their 'We Play Strong' girls' football campaign, also found that fathers tend to bring their daughters to football much later than their sons, which leads to less-developed skills and lower confidence when girls start playing. The 'We Play Strong' campaign, created before the 2017 European Championships, is targeted at 13 to 17-year-old girls and uses social media and celebrities to get across its message to girls when they are most vulnerable to dropping out of sport. After watching the campaign, 73pc of the teenage girls surveyed said they would like to play soccer, and the numbers who regarded it as 'cool' had doubled. "Teenage girls won't do anything unless they perceive that it's cool so we had to change the image of football and make it current," Bancroft said. 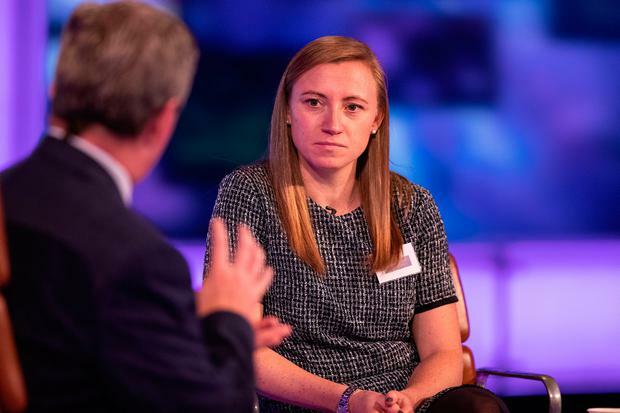 She revealed that the FAI will produce a customised Irish version of the 'We Play Strong' campaign next year, and that Irish senior men's players will also be engaged to promote UEFA's new father/daughter campaign on selected international match days. UEFA are announcing their first commercial partner for women's football later this week in a reported seven-year deal and are unveiling their first women's football strategy in February 2019.